Rep hard with this Chronic Leaf Snapback Cap. Made of 100% cotton, the white snapback cap features a black visor with a green underside and an adjustable snap closure that allows it to fit most individuals. 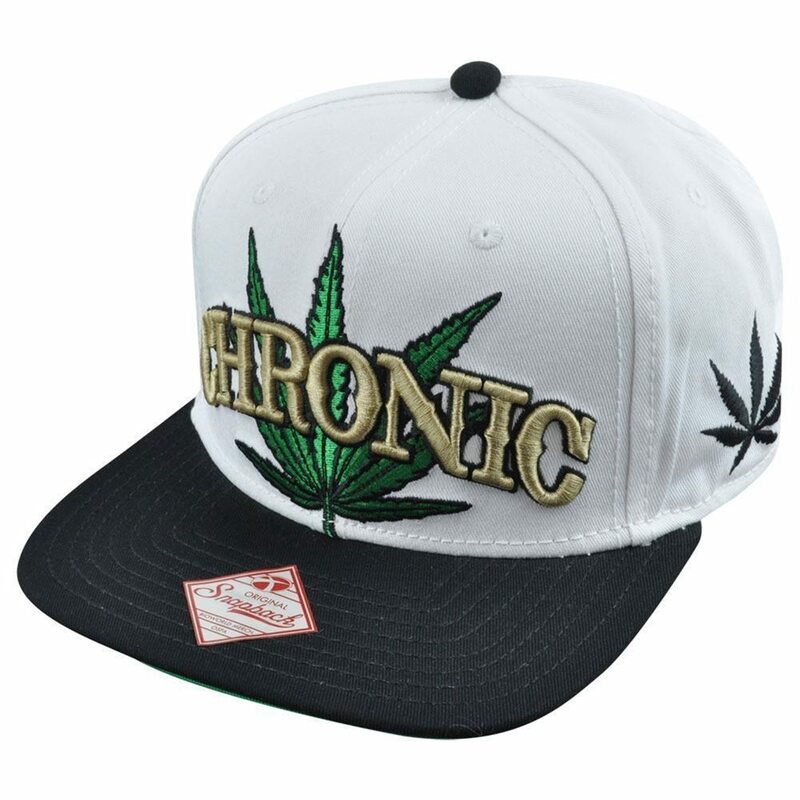 The cap is detailed with the word “CHRONIC” embroidered in gold with a large green pot leaf embroidered behind it; a smaller black pot leaf embroidered on the side; and a screen-printed pot leaf on the underside of the visor. This Chronic Leaf Snapback cap is terrific for accessorizing your outfit for Halloween or everyday wear.